Currently YoRoom offers more than 1000 square meters in an old refurbished factory with a fascinating architectural layout. Starting from May 2019 it will reach an area of 2000 square meters. 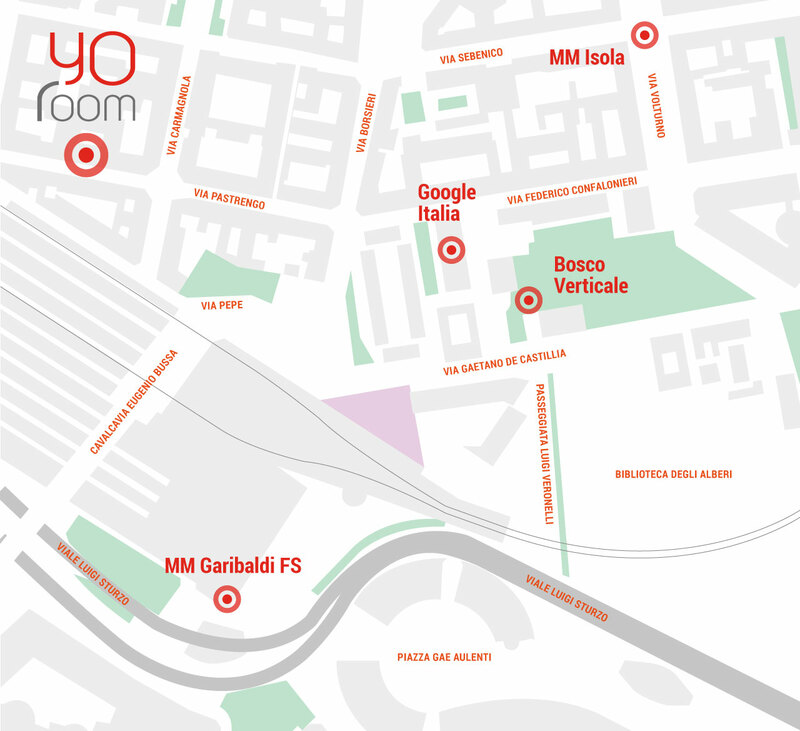 YoRoom is close to Garibaldi train station (direct connection by train with Malpensa Airport and Fiera Milano, subregional trains lines S1, S2, S5, S6, S7, S8, S11, high speed Frecciarossa train to Rome and Turin), underground green line M2 (stations: Garibaldi and Gioia), lilac line M5 (stations: Garibaldi and Isola) and yellow line M3 (station: Zara). From inside of Garibaldi train and underground station we are easily reachable following the sign Via Guglielmo Pepe. YoRoom is close to the new headquarters of Google Italia and the world famous skyscraper Vertical Forest, designed by Boeri.